Newly available in April 2012. 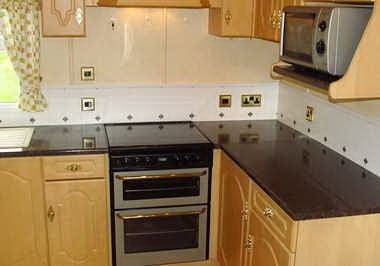 This is a bright, high spec caravan that is in immaculate condition having been very well looked after by one previous owner. 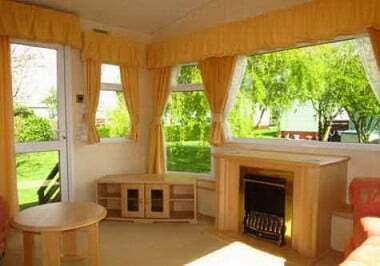 Sited on a lovely pitch with partial sea views to the front and side it is also close to a large willow tree and one of the largest gardens on the Park. 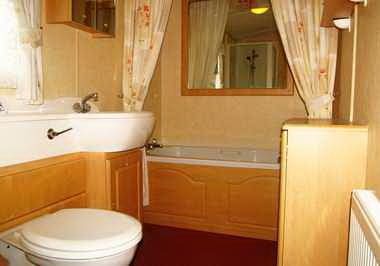 At 37 x12 ft it is a large 2 bedroom caravan with a truly amazingly spacious bathroom with separate bath and shower and fitted units. The galley style kitchen is well kitted out and inludes a large integral separate fridge and freezer, microwave also included.